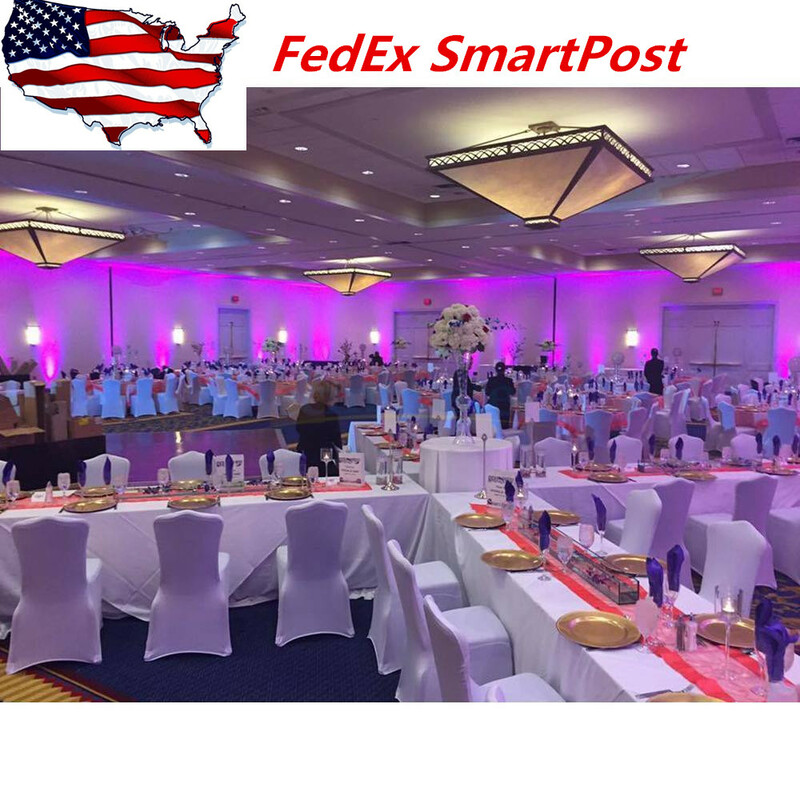 Are you a hotel or restaurant purchaser who is seeking for quality chair covers? Stop your endless searching here! 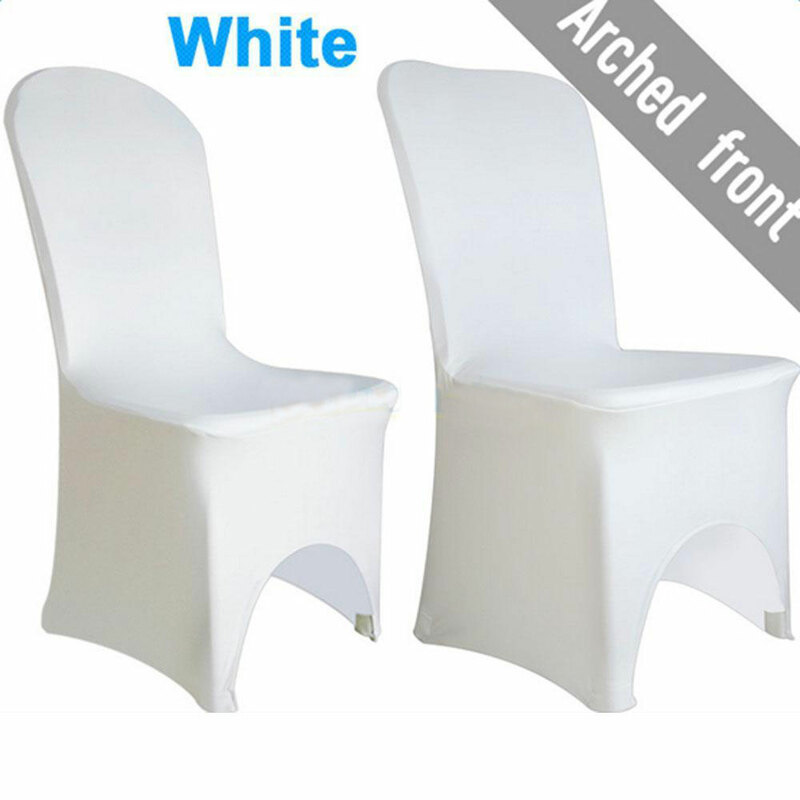 These 50pcs Elastic Polyester Spandex Chair Covers are the ones that you should not miss. Made of high-quality 95% polyester and 5% spandex fabric, they are elastic and feature excellent hand feel and a long lifespan. They can well protect your chairs from accidental dirt, splash and stains. After using them, your chair will be smart and tidy. In terms of price, each piece is quite low and suitable for each budget-conscious purchaser. Our mission is to put our customers first. Each item undergoes numerous checks. We choose the high quality material for our products. Being part of a growing and expanding company means we can offer the lowest price and postage rates and always pass on our discounts to you. It will be to our mutual advantage, and you can just fell free to contact with me, 100 % Satisfaction Guaranteed. Our working time：Beijing time：Monday to Saturday 8:30 am to 6:00 pm. · We greatly appreciate your POSITIVE feedback. Please do NOT leave negative feedback without asking for help. · Our aim is to provide Top Level Customer Service, so we will try our best to solve any problem. · Please DON’T leave negative or neutral feedback if you haven’t received item in 30 days, because we have mentioned the shipping time repeatedly. If you have any questions, please do not hesitate to contact to us . We will do our best to solve your problem. 2. Colors: Differences in color may be caused by some other reasons such as color reflection in the monitor, lighting, background etc. However, if you believe that the item received is wrong color, please contact us to see if a return or refund is possible. 3.Sizes: The sizes are illustrated with specific measurements in the detailed specifications. Please check the specifications before you placing an order. Normally the allowable differences in the size are approximately 0.5 inch in measurement. If you find the size of the products do not fit you, you can directly contact us. · Payment can be made via PayPal by credit card, debit card, bank account or e-check. · Payment must be made within 3 days after you win the item. if not, we will send you a mail to let you know hope you could understand. If you have changed your address, or want us to ship to another address,please change to the new address when you pay us with PayPal, otherwise we will not be responsible if the package is lost.